Who said losing weight is about not eating or going on a hard weight loss diet? If yes! I am all ears! For all you know, you do not require exotic weight loss foods, expensive pills, gadgets or medical procedures but natural food for weight loss. Yess!!! They are called the Superfoods!! Unfortunately, we tend to ignore these simple foodstuff, search for the ever-elusive diet food but end up being obese. So, how to lose weight with superfoods. Consult a Truweight Nutrition Coach for FREE and you will be amazed to know about the wonderful weight loss foods. We provide a list of 13 such awesome weight loss foods that are a must-include if you are looking for the answer to ‘how to lose weight’. This is the grass of tender wheat plants and is one of the most important superfoods for weight loss. It is taken as a vegetable and can be easily eaten by those with wheat allergies. It is over 20 times denser in nutrients than any other vegetable. 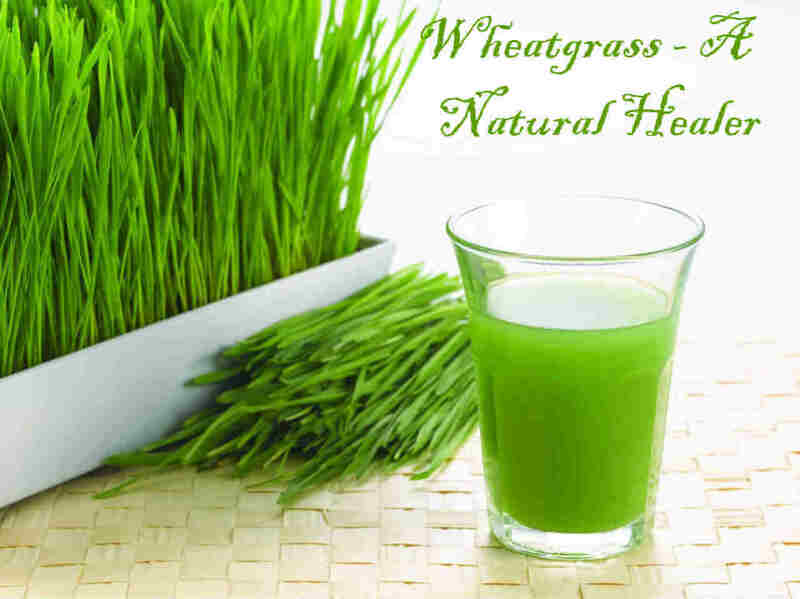 By drinking wheatgrass juice, you can get the power of more of its nutrients in a highly concentrated form. Wheatgrass is a complete food with 98 of the 102 earth elements! Wheatgrass juice is a strong health food supplement which contains very highly concentrated vitamins, enzymes, chlorophyll, and minerals. Spirulina is a superfood, microalgae and is a complete weight loss food. 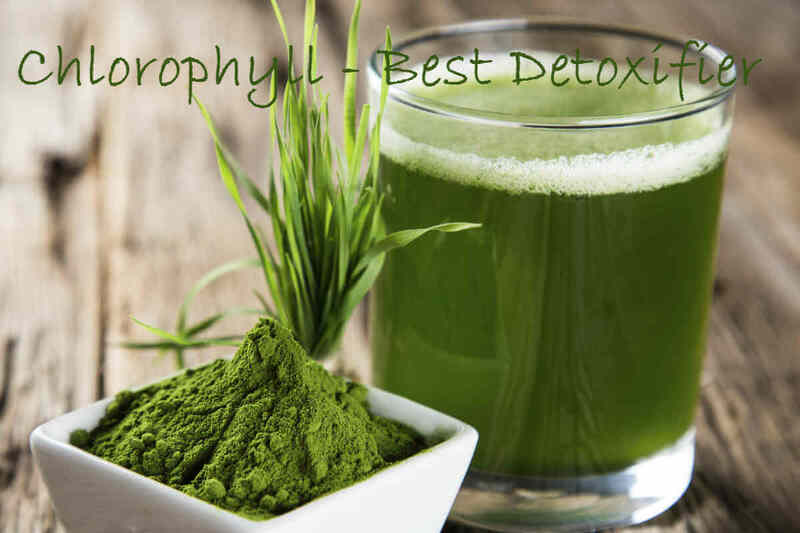 Spirulina benefits are immense such as, it has a high nutritional value and contains an enormous amount of proteins (50-70%), essential amino fatty acids, antioxidants, enzymes, and all vitamins and minerals. An excellent source of beta-carotene (30 times more than carrots). It also contains a large quantity of chlorophyll which has a purifying and protecting role in the body. All the elements present in spirulina will ensure healthy functioning of the immune system and nervous system. Spirulina also increases stamina and immunity levels and helps to build lean muscle mass. Spirulina is low fat, low calorie, cholesterol-free source of protein containing all the essential amino acids. 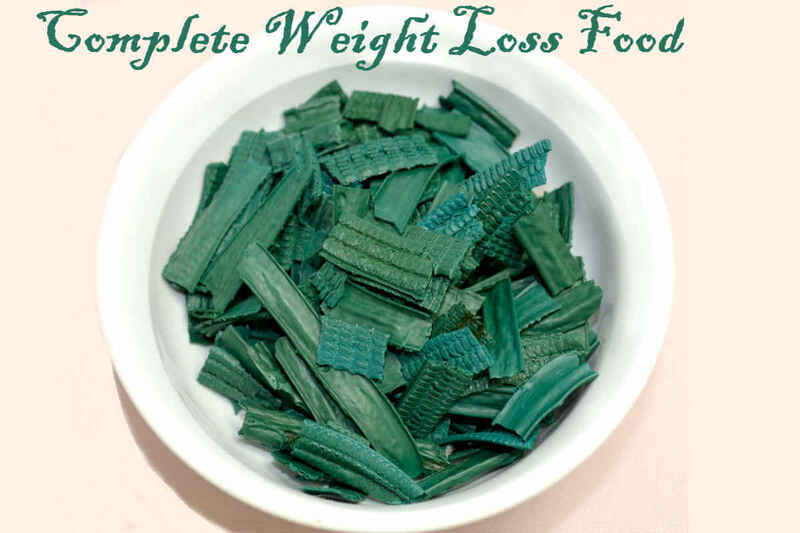 How to lose weight with Spirulina? Add this powder to dals, vegetables for an instant nutrient boost. 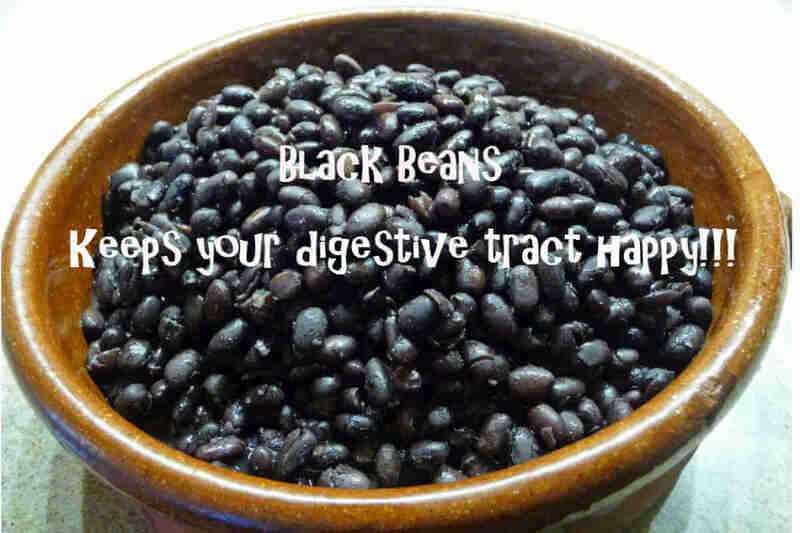 Black beans boost the health of the biota in the gut! Black beans are known to create magic within yourself. It is a very good source of protein and fills your tummy well with fiber too. It helps in increasing your level of satiety and also improves the regulatory system. They are always preferred as a diet food as they are packed with fiber which helps in improving your digestive health and in turn the question of weight loss also gets answered. Legumes are rich in protein and fiber. However, beans are nutritious and are considered as a proper diet for weight loss. A true superfood with 4 times the calcium of milk, 22 times the iron in spinach and large quantities of protein. Barley grass is loaded with every essential amino acid, over 12 minerals, and 13 different vitamins (including Vitamin K). Plus, 23% of barley grass is digestible protein. It has antioxidant properties and has been shown to reduce cholesterol levels. Barley grass helps in weight loss, provides longevity and improves sleep and immunity. How to lose weight with barley grass? Add this superfood powder as a part of a healthy diet. Alfalfa is a nutrient-rich food for weight loss that is high in chlorophyll, vitamins, and micronutrients. Eating alfalfa grass or alfalfa sprouts offers the advantage of more protein than in most plants. Alfalfa is rich in vitamins A, B1, B6, C, E, and K as well as calcium, potassium, iron, zinc, phosphorus, etc., and helps to boost our immunity. It also has cholesterol and blood sugar lowering effects. It helps in detoxification and is also helpful to treat kidney conditions, osteoarthritis, rheumatoid arthritis, asthma, cancer, etc. How to lose weight with alfalfa sprouts? Use the sprouts in a salad or in soups. The grass can be incorporated in juices and also in drinks. Alfalfa sprouts are tender and nutritious used in salads, soups, and sandwich. Alfalfa sprouts are healthy and should be included in your weight loss diet. 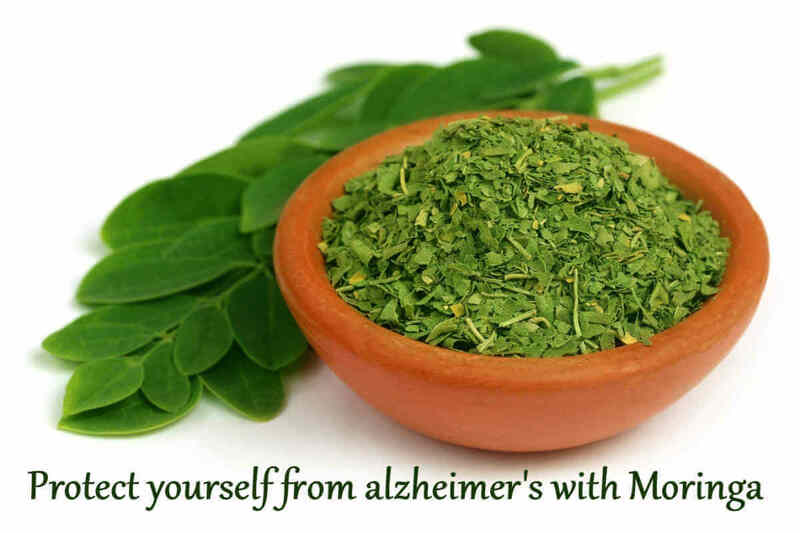 Moringa leaves (Drumstick leaves) is an important food source in some parts of the world. The most nutritious part of the tree is the leaf which has the highest amount of protein and is extremely rich in Vitamin A, Vitamin B6, Vitamin C, riboflavin, calcium, iron, and magnesium. Moringa leaves have four times the vitamin A in carrots, seven times the vitamin C in oranges, and four times the calcium in milk. It is helpful for people suffering from arthritis, cancer, constipation, diabetes, diarrhea, epilepsy, stomach pain (gastritis), heart problems, high blood pressure, kidney stones, etc. How to lose weight with moringa leaves: Add them in sabjis and dals or in combination with other green leafy veggies. South Indians make dosa out of these leaves too. Wondering how to lose weight if you’re overweight? The simplest answer would be to start eating fiber-rich foods. Dietary fiber is a magic weight loss weapon. Eating fiber-rich foods makes you feel full, so you can resist eating more food than you need. It is not easy to reach your daily recommended quantity of fiber through a regular diet if you are consuming only half the desired quantity. Without consuming enough fiber, it is not easy to lose weight. 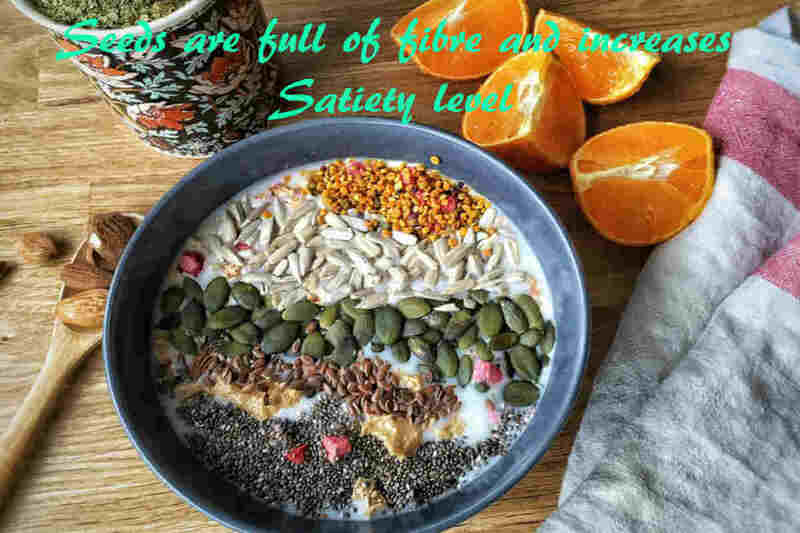 There are some food products which are very high in fiber content and if you include them in your diet, you could easily reach your desired level of fiber consumption. These food items are acacia gum, psyllium husk, and basil seeds. These are super foods which will not just give you required fiber but also release hormones that help in regulating fats. Acacia Gum and guar gum helps delay the absorption of glucose from a meal and stabilize blood sugar levels. It also triggers a powerful anti-hunger hormone called Cholecystokinin (CCK) that tells your body to stop eating once you’re full. These high-fiber diet foods are ideal for weight loss. It acts as a kitchen sponge in the digestive tract, soaking up harmful toxins and waste and “sweeping” them away in daily bowel movements. 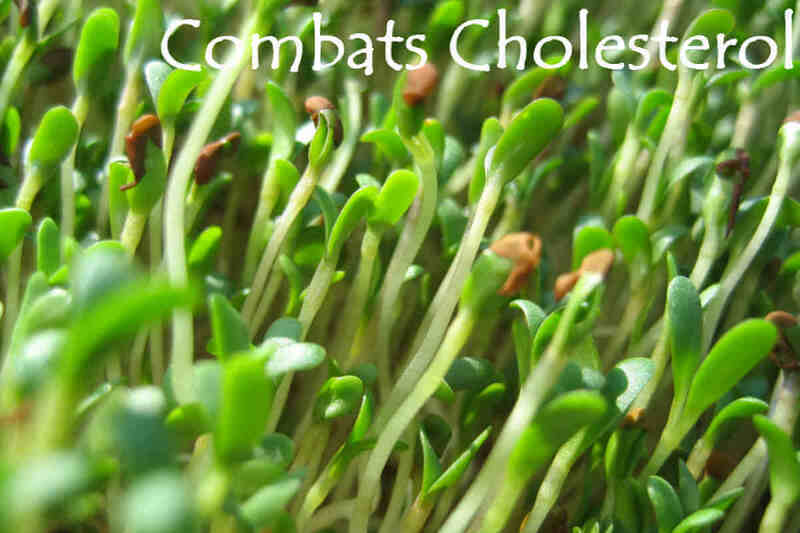 It helps raise good cholesterol (HDL) levels in the body and lower bad cholesterol (LDL) levels. If you are not getting enough fiber in your diet, try adding some fiber supplements in powder form. We usually eat watermelon, muskmelon and throw away the seeds. You will be surprised to know that seeds have immense benefits and they are full of nutrients. It might not be practical always to eat them along with the fruit, as they are hard. A better way to eat them is to grind them and mix it with some food/drink item. They are low in carbohydrates and it is a combination of healthy fat and high fiber content makes it a great food for weight loss and maintenance. Lose weight effectively simply by incorporating these seeds that are generally thrown away. Truweight makes its own Seeds Cocktail using flax seeds, sesame seeds, and watermelon and muskmelon seeds. 1. Seed Cocktail is high in phytochemicals, including many antioxidants. It is perhaps our best source of lignans, which help in balancing female hormones. There is evidence that lignans may promote fertility, reduce peri-menopausal symptoms, and possibly help prevent breast cancer and help prevent Type 2 diabetes. 2. They are very high in fiber: both soluble and insoluble. The fiber in your diet helps stabilize blood sugar, and, of course, promotes the proper functioning of the intestines. 3. They are rich in minerals like zinc, a nutrient which will help you by preventing hair fall and in building a stronger immune system. It is an essential nutrient for patients suffering from PCOS. 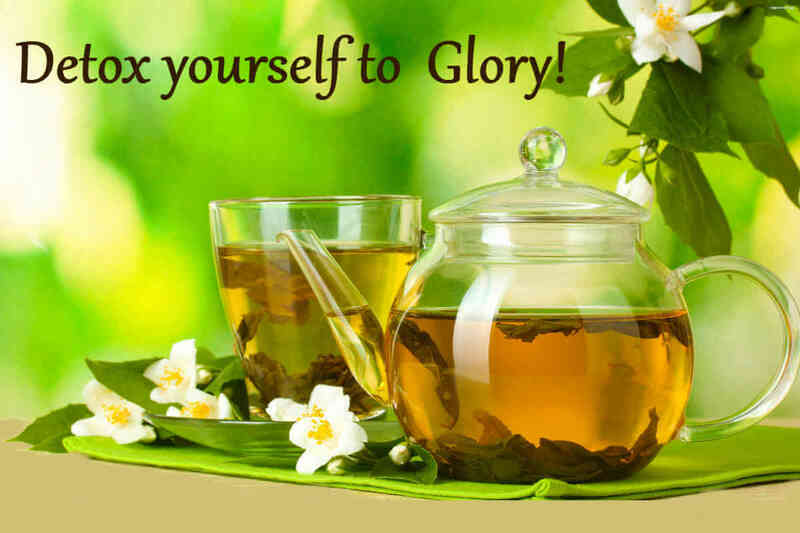 Green tea, quite popular in China from ancient times, is highly effective for weight loss. Most of its health benefits arise from the fact that it undergoes minimal oxidation while it’s made and that makes it very rich in antioxidants. It has 10 times the amount of antioxidants found in fruits and vegetables. This property alone makes it a perfect choice for weight watchers. Weight loss: It helps to lose weight by increasing metabolism by 4%. Diabetes: Green tea prevents high insulin levels and also regulates blood sugar levels. Heart Diseases: It helps to stay relaxed by maintaining the blood pressure and also prevents clot formation which is the main cause of heart attacks/stroke. Cancer: It kills cancer cells without damaging healthy cells and reduces the risk of cancer. Cholesterol: It aids in improving the ratio of good to bad cholesterol, thereby, reducing bad cholesterol in the blood. Skin Care: Green tea protects the skin and prevents it from various signs of aging. 10. What is better than Green Tea? Green tea with Great Herbs!! 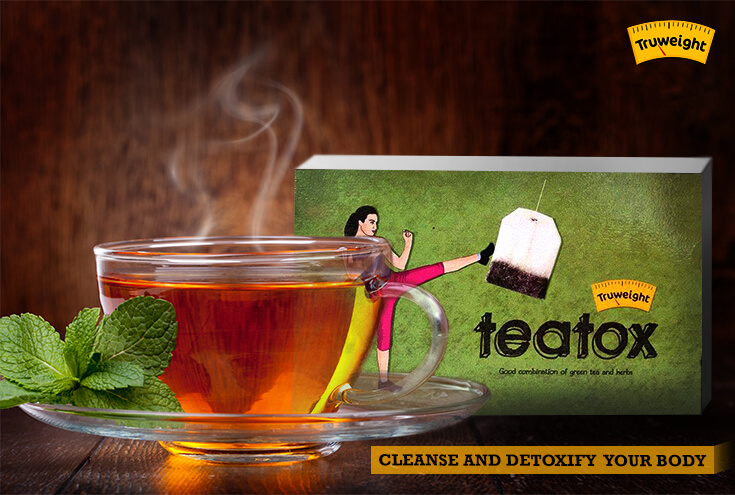 Truweight’s Teatox is a combination of powerful herbs with a number of health benefits such as weight loss and strong detoxifying properties. Musta is a powerful detoxifying and weight loss herb which removes endotoxins (toxins released in the body). It is also used as an energy tonic and is useful in treating gastrointestinal problems. It has the ability to reduce inflammation and cholesterol in the body and aids in weight loss. Baibidang is a powerful plant whose bark is helpful in rejuvenation. It also helps in treating various gastrointestinal problems, helps to restore blood sugar levels and is a powerful antioxidant, which helps to fight to age. It is a herb whose rhizome is used as a spice and as a powerful digestive aid. It enhances fat absorption, delays gastric emptying and gives satiety. Also increases the metabolism and aids in weight loss and acts as a detoxifying agent. Senna is a herb. The leaves and fruit of the plant have various health benefits. It acts as an anti-oxidant. It aids in weight loss and helps in detoxifying the body. Not only it helps in detoxifying but also helps to reduce inflammation and is useful in treating constipation thereby preventing irritable bowel syndrome, fissures, etc. You must have heard about this Central and South American native fruit in relation to weight loss or as a super diet food. Acai berry is an inch long, reddish-purplish fruit from the acai palm tree. Some studies have shown that the pulp of acai berry is even concentrated in antioxidants than other berry counterparts namely cranberry, raspberry or even strawberry, and blueberry. Just like red wine, the antioxidants in acai berry helps keep heart diseases away. 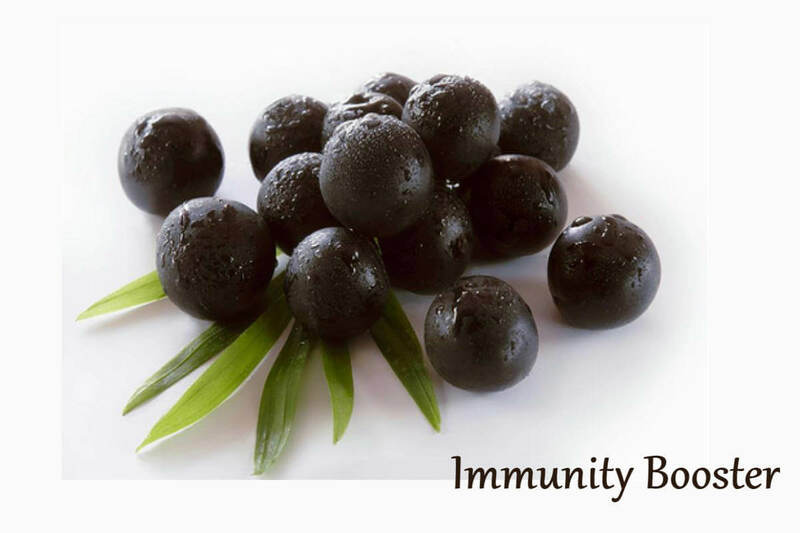 Apart from this, studies find beneficial effects of acai berry on the skin, immune-boosting properties of acai berry. It has also shown to reduce digestive problems and irritation. Whether acai berry is an ideal food for weight loss needs to be proven definitely but some formulations use this antioxidant-rich berries in their products. 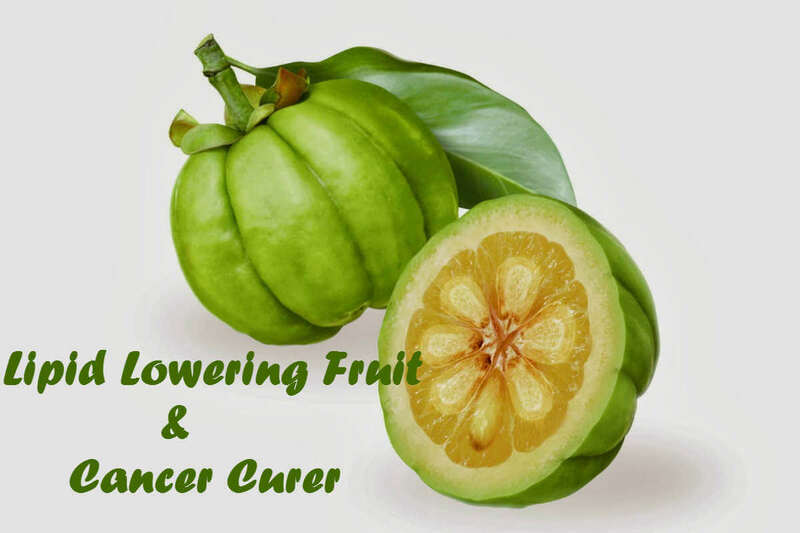 Hydro-citric acid present in Garcinia helps in burning fat! Another diet food which is spoken of much in the weight loss circles. A product of a medium-sized tree found in the Southeast Asia region, garcinia has shot to fame due to a unique chemical found in its rind or outer cover. The chemical is hydroxy citric acid (HCA) and growing research finds that this chemical can prevent fat storage, control appetite, and increase the endurance of exercise. Not just this, HCA from garcinia has shown to beneficial for relieving joint pain, bloody diarrhea treats parasite and worm infestation, and also helps increase bowel movement. The 5 Essentials on a weight loss day! Honey for weight loss – You would have heard “Have honey and lemon with warm water in the morning to reduce weight”. Honey and lemon in the morning help in increasing your metabolism and hence helps in weight loss. Honey fuels the liver and promotes the release of fat-burning recovery hormones while you sleep. But, then there are few more foods which are equally good or even better in increasing your metabolism: apple cider vinegar, ginger, garlic. Research shows that apple cider vinegar has positive results in improving your insulin sensitivity and hence helps in weight loss. Vinegar also promotes weight loss by preventing fat accumulation through its impact on insulin secretion and by maintaining a stable glucose level. Ginger increases the PH value of stomach acids, thus reducing the rates of gastric secretions and accelerating the activity of the enzymes necessary for digestion. 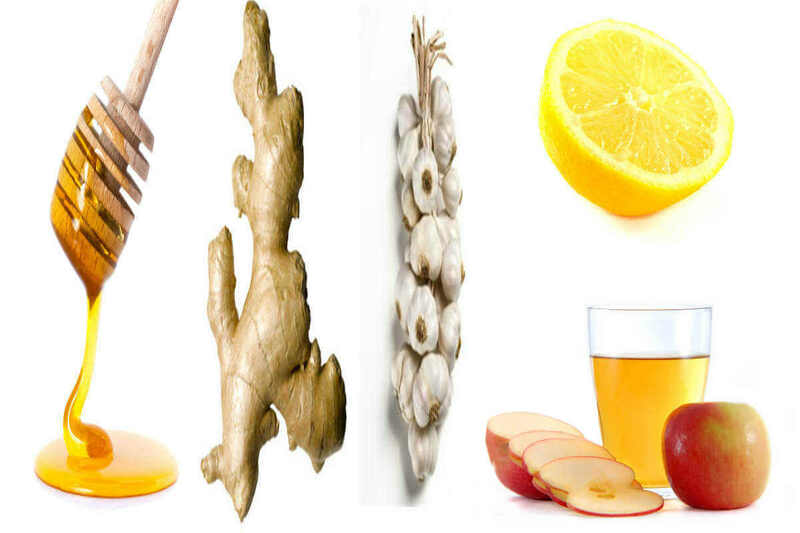 Research done at the Maastricht University, Netherlands found that ginger has metabolism accelerating properties. It boosts metabolism by approximately 20%. This is the reason why ginger has made it to the list of ‘top 10 weight loss foods’. Garlic stimulates the nervous system to release adrenaline hormone – thereby increasing the metabolism. Watch the video to know the weight loss foods that will help you in losing weight! Our Superfoods combine over 25 very powerful food products which help in regulating fats. They will be your best friends in your weight loss journey. It is not practical to mix everything early in the morning to come up with your own concoction. Hence, we combined them all to come up with our SuperJuice. And the best part is that together they are much more powerful than if you had to take it individually. They are combined in the right proportion and a lot of work goes into heating it and drying it for 3-4 days. It is manufactured based on an age-old recipe, which has been proven to be very effective for weight loss and for making your heart stronger.